Harmony and balance. Earth and Water. Spirit and body. 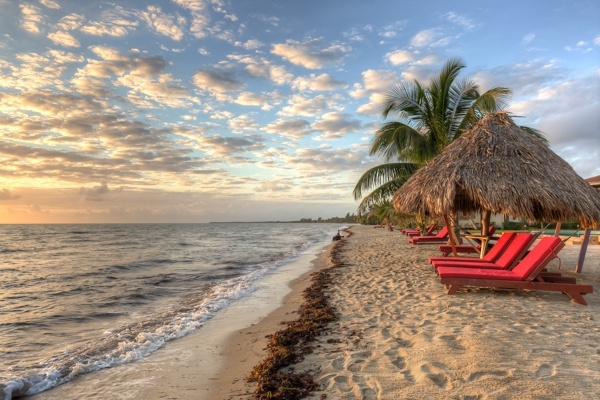 A sacred yoga retreat in Belize. Join Michael and Katrina to the Caribbean shores and living rainforests of Central America. A splendid mix of culture and creation, Belize is a wonderfully easy country to travel that harmonizes and breathes the ancient Mayan teachings with the breezy island life of the Caribbean. Our retreat will be in 2 parts; the first half will be in the earth element of the lush rainforest and the second half will be on beaches of the Caribbean water. Spend 4-nights at the renowned Chaa Creek Eco-Lodge, immersed in the lush and verdant energy of the spectacular Peten Rainforest. Enjoy rejuvenating meals with food grown and harvested on the land, the mystical jungle trees, the lullaby of the Macal River, exotic birds, daily yoga, and refreshing swims in the infinity pool. Each cottage accommodation has a porch veranda perfect to absorb the rich earth element from the comfort of your dwelling. 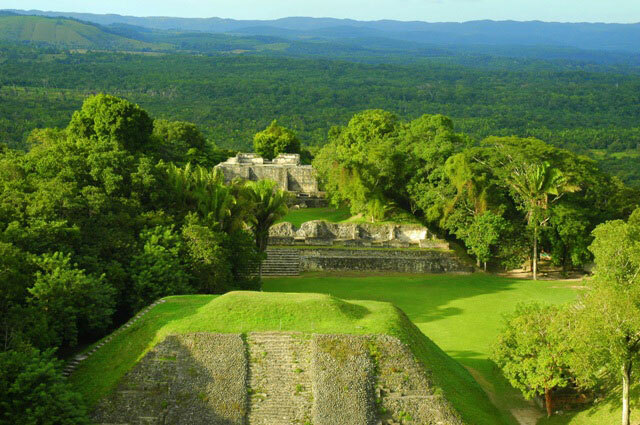 Connect to ancient earth wisdom of the Mayan Spirit in an earth ceremony and visit the sacred pyramids of Xunatunich. Take a guided tour of a mayan medicinal farm, see the cultural town of San Ignacio, and the natural wonders of this mystical rainforest. With additional options to schdeule a spa or energy treatment, horse back ride, or simply relax. Emerge from the rainforest grounded and ready to travel a short 2-hour ride to the Caribbean coast. Spend 3-nights in the lovely fishing village and cottage town of Hopkins. Stay at our private Caribbean Villa in air-conditioned bedroom suites. Explore the swimming pool, hot tub, rooftop verandas, full kitchen and the 2-minute walk to the white sand beaches of the Caribbean. Moving into more of an island time schedule, enjoy plenty of personal time to relax, nap, bike ride to the town, swim, read a book, schedule personal energy sessions, and do daily yoga. Let the water element open your flow and carry you deeper into personal balance and love of life! Set along the banks of the Macal River and reaching towards the foothills of the Maya Mountains, Chaa Creek is a full service, luxurious resort set in the Belizean rainforest. This spa and wellness center is situated on 400 acres of pristine rainforest with a focus on Belize’s ecology and natural history as well as the vibrant culture and spirituality of the Maya civilization. There are 7 impressive ancient archaeological sites on their grounds, along with a Blue Morpho Butterfly Farm, Organic Farm, Nature Preserve and walking trails, Natural History Center, and Infinity Swimming Pool. 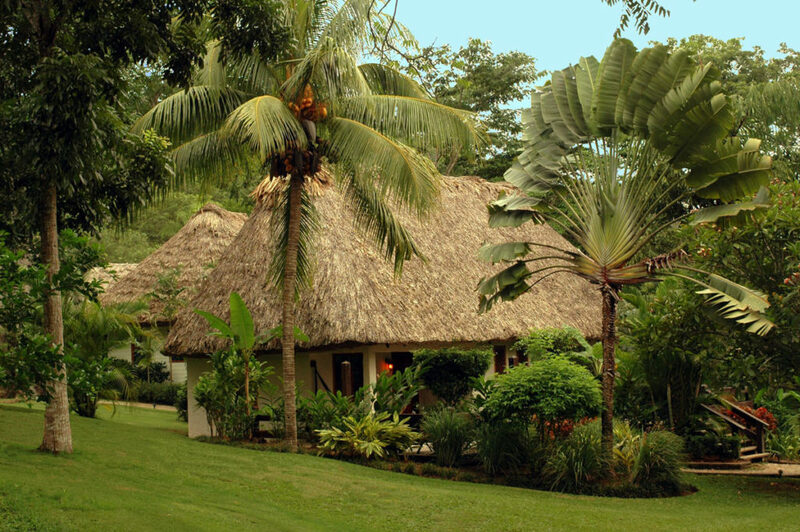 Book a massage and walk the ancient temples, eat fresh fruit from the land, and watch the vibrant rainforest from our palm thatched yoga nest each day. At Chaa Creek you’ll stay in individual palm thatched cottages, furnished with a tasteful, casually elegant mix of hand crafted furniture, fine fabrics and local and international art. Each spacious cottage has a private sundeck verandas to enjoy the soothing sights and sounds of the rainforest, and including dazzling hummingbirds. Start your day light with a selection of tropical fruits and homemade yogurt, or go local and try a more substantial breakfast of refried beans, eggs, and freshly prepared corn tortillas. For dinner, spoil your taste buds and enjoy delectable ‘Jungle Cuisine‘ in the al-fresco dining room. Most of the produce is grown on-site at Chaa Creek’s Organic Maya Farm. sunrise and sunsets from the rooftop and swimming pool verandas. Take a swim in the ocean, hang out by the pool ledge under the waterfall, or take a 10 min bike ride into town for a meal and crafts- Bikes are provide as part of your stay! And after a day of relaxation and beach time, soak in the poolside hot-tub.Our house has 6 full bedroom suites each with a private bathroom, and access to the full house- including a full kitchen, air-conditioning, and many luxurious areas inside and out to relax, read and deepen your yogic practices. With a more island schdeule you will be able to eat inexpensively in town or cook at the house for lunch or dinner. Picnic at the beach! Cash and Check payments are free of any fees:) Credit Card Payments have an additional 2.5% processing fee. Monthly Payment Plans. You can pay your retreat price (plus $100) over 4 months. Ranging from $400-$525 –a person/month for 4 months. Contact Michael if you would like register with Monthly Payments (720-745-0184). The Sacred Earth & Water Belize Yoga Retreat starts 3:30pm Saturday, Oct 8 and ends 12pm Saturday Oct 15. We will arrange a pick-up and drop-off at the Belize City Airport (BZE). Your first included meal will be dinner Saturday, Oct 8 at Chaa Creek Resort, and your final included meal will be breakfast on the morning of Oct 15 at our Private Caribbean Villa. Included meals are Breakfast and Dinner for 4-days at Chaa Creek, and full Breakfast for 3-days at the Caribbean Villa.